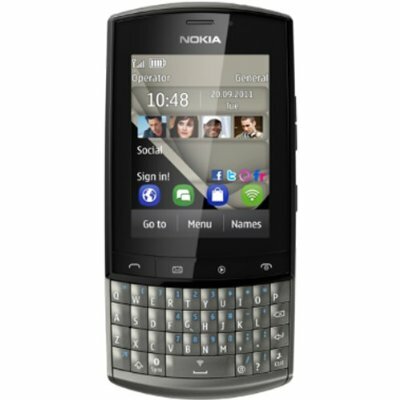 The Nokia Asha 303 is a touchscreen phone with a full QWERTY keypad that gives you the advantage of using a touch or type input, to meet your specific needs. 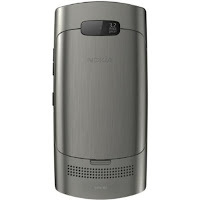 This Nokia phone runs on Series 40 operating system and is designed to give you a smooth user experience. This Asha series phone has a 2.6-inch capacitive touchscreen that gives you a clear display while handling. The Nokia Asha 303 is loaded with a 1 GHz processor. This phone has a 3.2 megapixel camera with fixed focus that can take pictures and record videos. This Nokia Asha series phone is powered by a Li-Ion 1300 mAh battery that gives you a talk time of up to 8 hours on 2G and up to 7 hours on 3G. This mobile phone when fully charged gives you a standby time of up to 720 hours on 2G and 840 hours on 3G. The Nokia 303 handset has an internal memory of 100 MB and is expandable up to 32 GB using microSD, microSDHC cards. The Nokia 303 is crafted to fit well in the palm of your hands. This easy to carry phone has the camera and speakers loaded at the back of the device. The right side of this Nokia phone has a dedicated volume rocker that lets you control volume levels while using the phone. It also has a lock key that allows you to lock you phone with ease. The top of the Nokia 303 has a USB port and a 3.5 mm jack. 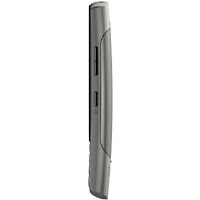 This Asha series phone has Bluetooth and a micro USB port with which you can connect to other compatible devices. Social networking sites like Facebook, Twitter, Flickr and Orkut are supported on the Nokia 303 to help you keep in touch with friends and share your views with the world. 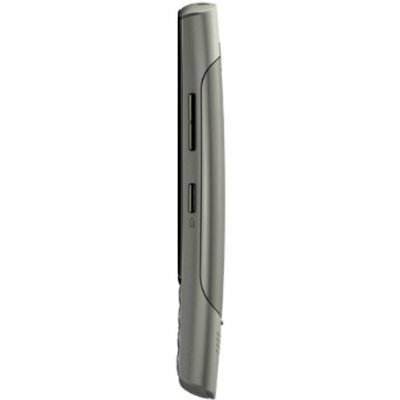 This Nokia handset supports conference calling and lets you talk to many friends at the same time. This handset from Nokia is built to support GPRS, EDDE, 3G and Wi-Fi platforms. The Nokia Asha 303 has a preloaded Nokia Browser that you could use to surf the pages of the web. This mobile phone is enabled with Email and Push Email that lets you keep in touch with your personal and professional work environments efficiently. Would you like to spend your money on this gadget? Share your views in the comments below!